Some of our negative self-talk comes from not getting enough rest, eating poorly, not exercising or being vitamin deficient. Don’t sing along with the song of the accuser. 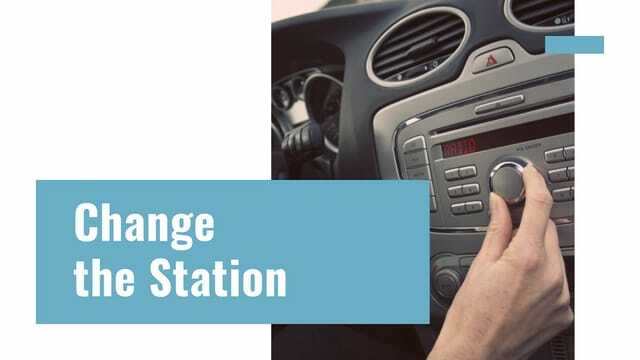 Resist the tune of the Liar, and Change the Station. Change from the Anxious station to the Peace station. We will stay on God’s Peace station when we use the power of thanksgiving. The derogatory, disparaging remarks we say to ourselves, we would never say to a friend. We would never say to a friend, your ugly, your fat , your stupid you’re a failure. Invite your friends and family to celebrate Easter with us with great live music, a life-changing message and super fun kids program.